A much larger image can be found below the first one. With the exception of some high clouds in the southwestern region of the Nebraska Panhandle and some clouds in southeast South Dakota, this image is virtually cloud free. 1. The darker areas for Omaha and Lincoln where many of he streets are bare and without snow are darker creating a darker image. 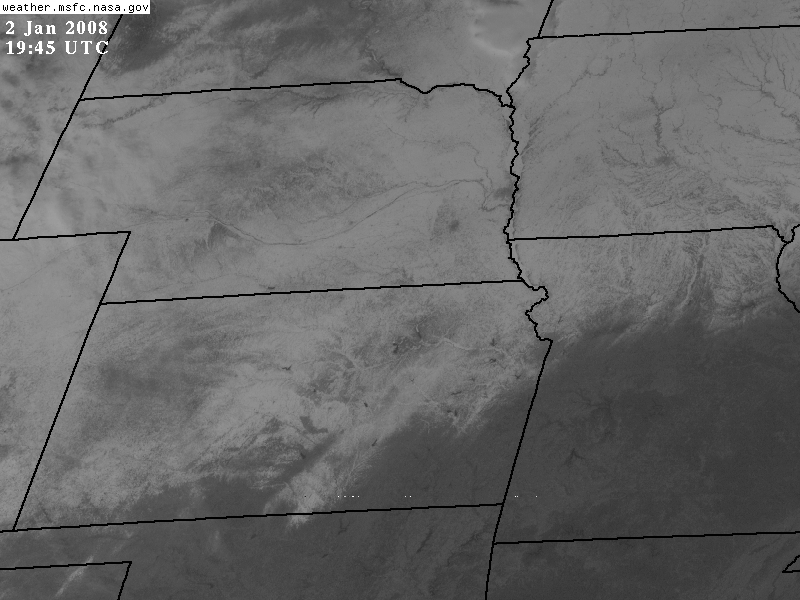 If you look carefully, you can slso see the darker area jsut north of the Platte River where Grand Island is located. 2. The Platte River valley can be seen as a darker curing line in the image. 3. The numerous river valleys in Iowa also stand out in the iamge. 4. 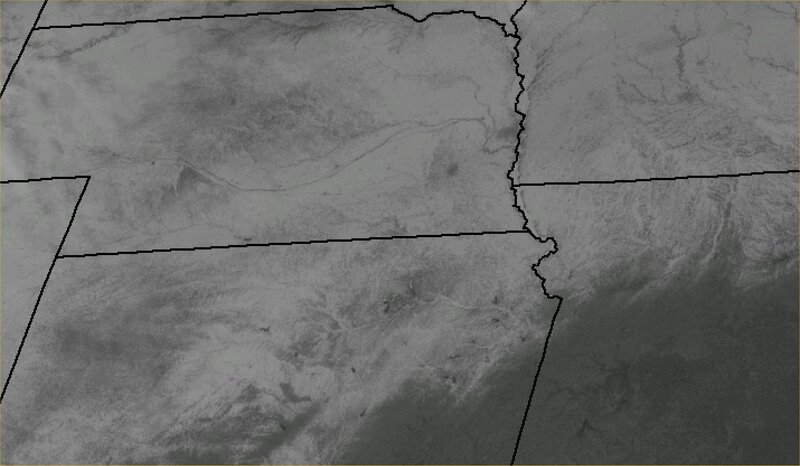 The southern edge of the snow cover area stretches from southwest Kansas up through Kansas City and across northern Missouri. 5. Some of the regional reservoirs that are not ice covered (especially in Kansas) can also be seen as dark areas on the image. The following image is the same as above, however it is greatly enlarged. Although this causes some blurriness in the image, the details noted above can more easily be seen.